Hotel companies love to brag about providing local experiences for their guests, but few actually live up to their billing. 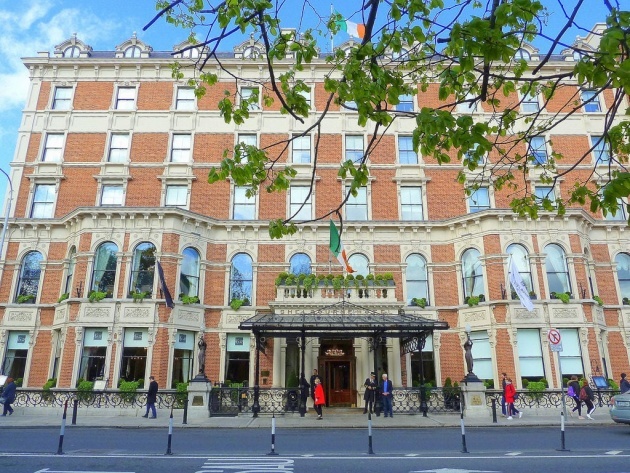 The Shelbourne Hotel in Dublin, one of Ireland’s top hotels created a job to literally help visitors find their place in the destination’s history: a genealogy butler. Hotels have bath butlers, beachside butlers and beagle butlers. But in Dublin, one storied inn with deep Irish roots has a genealogy butler in place to help guests find their own connections to the country. Prior to arrival, guests fill out an assessment form with basic information, including the name of the émigré relative and the port of immigration. Kelly looks over the form and spends some time exploring online sources and Irish records. After that, she develops a personalized assessment report of ancestral information, along with a research program enabling guests to commence their search.